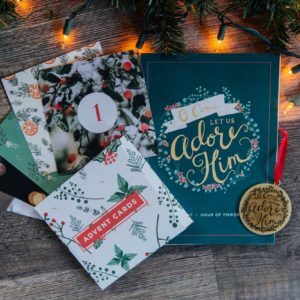 Brand New Advent gifts in time for the Christmas season! Join us this Advent season as we set aside time with our family to pray, read, and reflect on the coming of Jesus Christ through our “O Come Let Us Adore Him” Advent Devotional. It’s filled with scriptures, devotions, and recipes that will be a blessing to you and all those you share it with and who visit your home. Truly, it will be a gift that keeps on giving! With your generous gift of any amount we will send you our beautiful 2018 Christmas Ornament. This ornament is designed in a matte gold finish and inscribed with the words “O Come Let Us Adore Him.” We hope it will be a source of encouragement every time you look at it on your tree as you are reminded of the fulfilled promise of Jesus’ birth. With your generous gift of $60 or more we would like to thank you by sending you both our “O Come Let Us Adore Him” Advent Devotional and 2018 Christmas Ornament. It’s filled with scriptures, devotions, and recipes that will be a blessing to you and all those you share it with and who visit your home. Truly, it will be a gift that keeps on giving! 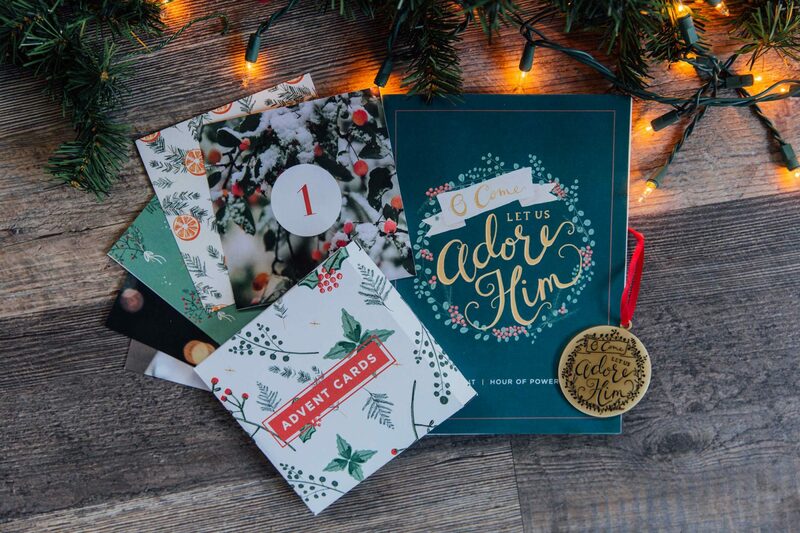 With your generous gift of $90 or more we would like to thank you by sending you all three gifts; our “O Come Let Us Adore Him” Advent Devotional, 2018 Christmas Ornament, and our brand new Advent Activity Cards. Together, these resources are going to help you know and believe the truth that God’s promise and fulfillment of Jesus mean He can and will fulfill His promises to you! Thank you for your donation … Hour of Power with Bobby Schuller is here — and changes lives — because of you!